Birkhall's Miscellany: How Many Vowel Sounds Do We Actually Need To Represent? How Many Vowel Sounds Do We Actually Need To Represent? 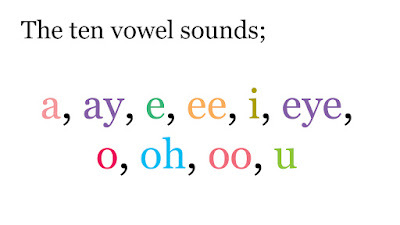 In my last article I was having some trouble with the vowel sounds. 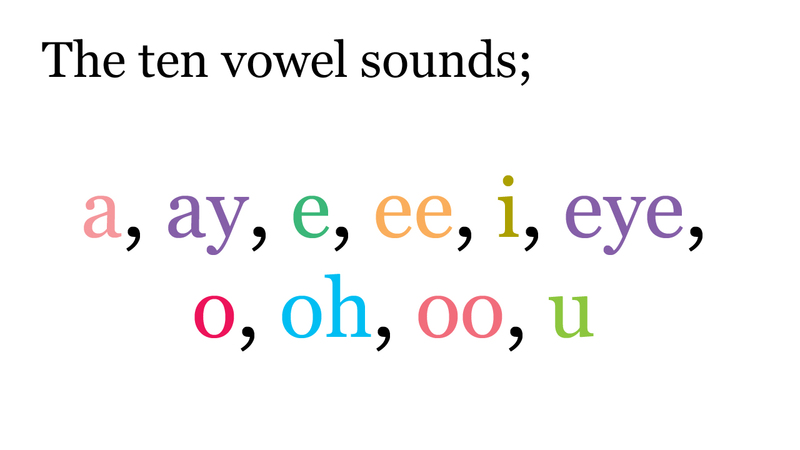 So in this article I'm going to investigate the vowel sounds properly for the first time. However, these vowel symbols don't always represent the exact same sound. So, for example, if we take the letter A. It can be used to symbolise an "ay" sound, as in the world angel, but it can also be used to represent the "a" sound, as in the word apple. So A can represent either an "a" sound or an "ay" sound. Without prior knowledge of how the words apple and angel actually sound we'd simply have to guess at how they were pronounced if we only had their letters to go by. With E there's a similar problem only slightly different. E can be used to represent the "e" sound, as in the word egg. However, it can also be used to represent the "E" sound when two are used together. For example, the word speed. At least with these two sounds the difference is clearly illustrated in the written language. Still though, we have the problem that "ee" is a different sound to the sound you would get when two "e" sounds are placed next to each other; i.e. "ee" isn't simply an elongated or repeated "e". With I we also have a similar problem. "I" can be used to represent the sound "eye" - as in the word life, or when we use a capital "I" to refer to ourselves. However, it is also used to represent the sound "i" as in igloo. Again, like with the vowel A we would not know how to pronounce words such as life or igloo were we just using the word as it's written with no prior knowledge of how the word is actually pronounced. With O it's even further complicated, as not only do we have the "oo" sound - such as is found in the word zoom. We also have two different sounds represented by the single "o". We have "o" as in the word oxen, then also "oh" as in the word go. Finally we have U, which thankfully seems to only represent one sound - the "u" sound, as in words like ugly, snug, etc. I should also point out that this list of vowel sounds I've identified may not be exhaustive. This is just those which I identified when I was thinking about the problem last night. There may be more I've missed. In which case I'll have to add an addendum to this. So at this point we have 5 individual letter symbols for the vowels - A, E, I, O and U - but we seem to have ten vowel sounds to represent. Or, if we're happy to count the double "o" and double "e" as separate symbols, then we could say we have seven vowel symbols; A, E, I, O, U, EE and OO. And that those seven need to represent the ten sounds. Which, as they stand, are; a, ay, e, ee, i, eye, o, oh, oo, and u respectively. It may also be worth noting at this point that there are many words in the English language where we seem to use the wrong vowels. For example, if we take the word news. We use the vowel E along with a W. However, phonetically it sounds much more like an "oo" sound, similar to how we pronounce the word you. If we spelt news phonetically it would perhaps look more like this; Nyoos. It looks silly spelt this way, but this is just a consequence of its unfamiliarity. This "ew" spelling is quite common in written English (shrew, yew, etc), so if we choose to lose it then our new phonetic alphabet will render the spoken word very differently. It should also be mentioned that vowel sounds are often quite interchangeable depending on accent. For example, the word town is often pronounced to sound like toon by Geordies (people from Tyneside in the NE of England). When it comes to accent consonants tend to be quite fixed, whereas vowels are very fluid. In some older alphabets only consonants were represented, with the vowel sound simply notated by an undefined placeholder, or in some cases not even represented at all. This is something that we need to bear in mind as well as we go forward. In my next article I think I'll look at the Seven Sacred Vowels themselves. I'll try to find out what sounds they actually represent, and see what relation they bear to the vowel sounds commonly used in the English language.